The Japanese airline picked the firm after a competitive process to work on its campaign, which includes a year-long influencer program. NEW YORK: All Nippon Airways has selected Hill+Knowlton Strategies to work on its first U.S.-focused marketing campaign. The Japanese airline picked H+K after a competitive process to work on its Welcome to Experience Class campaign. The push will include a three-part influencer program launching next month via an interactive microsite. H+K has been All Nippon’s PR AOR in the U.S. for the past three years. The RFP process for the marketing effort began in September and H+K was selected at the end of the month. The work began immediately. The campaign has a seven-figure budget. "The budget is commensurate with raising [All Nippon’s] brand awareness in a heavily crowded U.S. market," said Tadashi Matsushita, All Nippon’s head of PR and communications for the Americas. "We operate from 10 cities in the U.S. on both coasts, so it is a significant campaign for [the airline]." 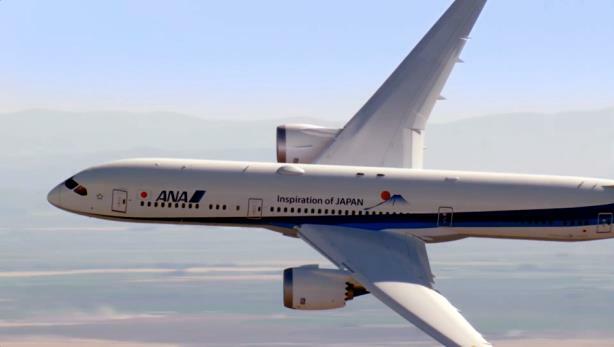 2016 marks All Nippon’s 30th year offering flights to North America. "We have hit a major milestone," said Matsushita. "We would like to bring our brand and presence in the U.S. to the next level." The campaign will highlight ANA’s idea of redefining "class" through the concept that everyone has access to its accommodations, according to a statement from the firm. The influencer program will be a year-long digital communications project, starting immediately with a video introducing the campaign. In its first phase, All Nippon will partner with musician Steve Aoki on music that embodies Asian culture for both in-flight and once customers reach their destination. The airline will make playlists available to consumers through a partnership with Spotify. Molly O’Neill, EVP and head of the firm’s U.S. marketing communications practice, and Marvin Singleton, EVP and head of the firm’s Dallas office, will lead account work that will be largely handled by the firm’s New York office. The account team is responsible for producing a targeted strategy to increase reach and awareness among U.S. travelers using its research arm, Research Data+Insights, as well as its Sherlock+ media software. Group SJR is designing and developing the microsite. "[All Nippon] is a well-known Asian carrier, and [the main challenge] has been trying to compete within the U.S. where you have other Asian carriers and legacy U.S. carriers and trying to find a way to differentiate what its product and brand stands for," said Singleton. All Nippon, founded in 1952, is the largest airline in Japan by revenue and number of passengers. In 2015, it carried nearly 51 million passengers and recorded revenue of $16 billion, according to a statement. The airline, which flies 84 international and 119 domestic routes, has 35,000 employees and a fleet of 250 aircraft. This story was updated on November 22 with quotes. Hotels.com books Hill+Knowlton as PR AOR in the U.S.